Fisher looks like a mini black panther! He’s a sweet boy who was born in March 2014. He came to Last Hope as a result of a trapping project in Babylon. Fisher is a friendly boy, a little shy, but ready to find his special person and forever home. 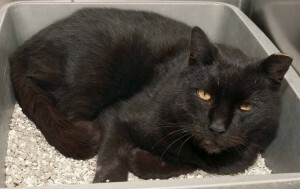 Could you welcome this handsome mini panther into your family?